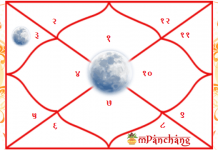 How the Moon in 2nd House of Kundali Affects Our Life? The presence of Moon in the second house of the native’s natal chart makes them highly concerned about their belongings and wealth. These individuals are sensitive in the matters related to finance and material security. They are likely to make huge efforts for having a continuous flow of income. The emotional satisfaction of the natives is also dependent upon their income and financial standing as a higher level of material possessions make them feel emotionally secure. You can get Free Download Birth Chart Analysis Report. 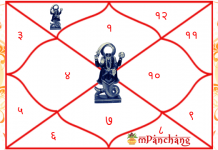 The positioning of the Moon in the 2nd house brings a lot of fluctuations in the financial condition of the native. The natives might experience a lot of ups and downs in the overall expenses and incomes. The placement of the Moon in the second house of career can make the person good at money handling so the most suitable professions for the native could be banking jobs, financial analyst, stockbroker, credit manager, auditor, or sales person. But if in case, the moon is not in a favorable position then the person can lose his/her wealth and can also be reckless in money management. The second house has its relation to material possessions and also to the family members. If in case, the Moon is placed in the 2nd house of the male natives then they are likely to earn money in order to make the family members feel secure as they are very much concerned with the well-being of their loved ones. Whereas, the placement of the Moon in the 2nd house of the female natives makes them good at budgeting, savings and taking financial decisions. These females crave for personal freedom in respect with money matters and finances. Read also Can planet make you rich? These natives possess a tendency to spend lavishly in order to acquire more and more materialistic possessions and comforts. Such people often show off an artificial status of their image to fetch the attention of others as well as to have a strong and recognized social standing. But if Moon is paired with planet Saturn, Mercury or Mars then soon the true image and actual possessions of the native get exposed. These people have a keen interest to collect ancient, valuable and antique items. Because of the wavering nature of Moon, the natives might experience tremendous mood swings and therefore find it difficult to remain constant in their decisions and even not likely to give much attention to a single concern. The individuals might also gain huge wealth from inheritance if Moon has a favorable placement with other benefic planets. Moon offers the individuals with a volatile persona by getting positioned in the second house. Such people are unable to hide their true emotions. For these individuals, the state of wealth and finances are always in a continuous state of motion. Various planets pose a diverse set of impact upon the natives. 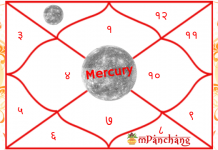 To understand which planets influence you and your life, consult our professional astrologer! 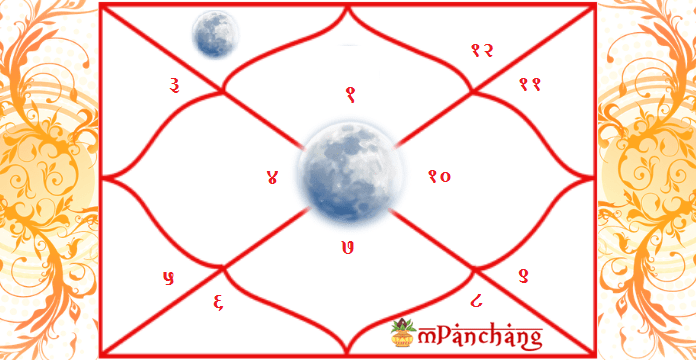 Know about How the Moon in 1st House of Kundli Affects Our Life?